Biological crop protection against aphids in Blue Berries Hil & Moer. 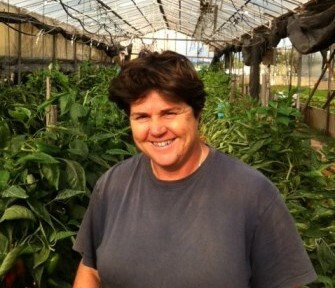 “Since I use BerryProtect in my greenhouses and that I adopted a preventive strategy (Release of parasitoids before aphids appear), I found a really good alternative to chemical treatments against aphids”. This mix of five different species of wasps control the most commonly found aphids in blueberries and therefore, biological control is much easier for growers. Meffre Plant: VerdaProtect for aphid control. 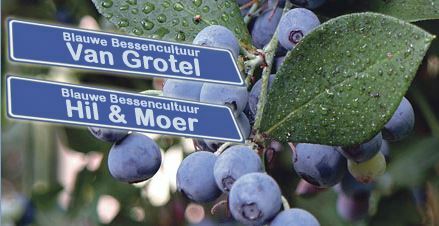 The PCS (Proefcentrum voor Sierteelt) is a research station dedicated to the cultivation of ornamental plants, located in Destelbergen (Belgium). For over 20 years, a large number of researches have been conducted in the area of crop protection, with both pesticides and biological control agents. For the prevention of pest resistance to various products, the use of beneficial insects has become an important part of a sustainable crop protection strategy. Marc Vissers, coordinator of indoor plants department routinely uses predatory mites against thrips, whiteflies and spidermites and OrnaProtect against aphids. Marc Vissers: “When trials are conducted with predatory mites or pesticides, you must try to spray as little as possible with other agents. Similarly, in our side effects trials with pesticides, where the impact of products on the predatory mites is tested, we cannot spray other products, which would mean the end of the trial. That is why we are very pleased with parasitoids of OrnaProtect. They are not a miracle solution to all the problems of aphids on all plant species, but allow good control of several species of aphids in several crops. On these crops, we no longer need to spray aphicide and predatory mites remain active. 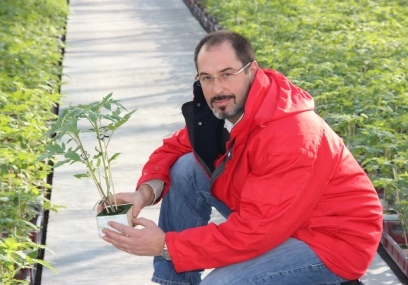 It is for these reasons that I recommend to ornamental growers using OrnaProtect, and not just to those who already use biological control but also to the others: they have only a limited number of active substances and as long as they do not need to spray chemicals, no resistance against these products develops. In this way, they can reserve a part of their insecticides interventions to pests more difficult to control as mealybugs, whiteflies or thrips. B R Brooks & Son at Langdon Manor Farm near Faversham in Kent, growing strawberries and raspberries. In the past, aphid resistance to certain chemicals has been observed around the farm. 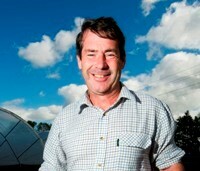 The owner, Mr. Alastair Brooks, needed a reliable alternative, so FresaProtect was trialed in strawberries. Mr. Andrew Reeve, production manager affirmed, “ We used FresaProtect in our June bearer sonata production and had very good encouraging results with this product. A heavy infestation of potato aphid (Macrosiphum euphorbiae) was controlled almost completely with lots of mummified aphids found in the crop. We are very impressed with the product and its ease of use even under fleece. The unit for Vegetable Horticulture at the LWG Bamberg (Germany) applies biological plant protection in different strategies: (a) preventively in a conventional setting and (b) only biological in an organic context. The conventional vegetable growing has the possibility for a chemical curative correction, in case this should be necessary. The objective, however, is a pesticide-free strategy if possible. In this conventional strategy, VerdaProtect has been used preventively in three sets of cucumbers (Proloog, Greenfit/ Bornand, Bornand/Proloog).